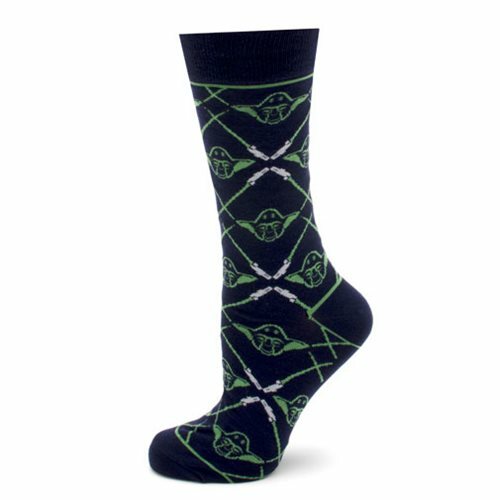 If you love Yoda, you should probably pick up these super-cool Star Wars Yoda Lightsaber Navy Socks. These socks are perfect for Star Wars fans looking for the perfect tacky item to complete their tacky holiday outfit. Made with JuteCell yarn, these unique socks are eco-friendly, antimicrobial, and feature moisture wicking properties. Most feet will fit these socks (up to men's size 12).